Our Store received so much traffic this holiday season, we are taking the time to make a more efficient, easier-to-use site for our customers. 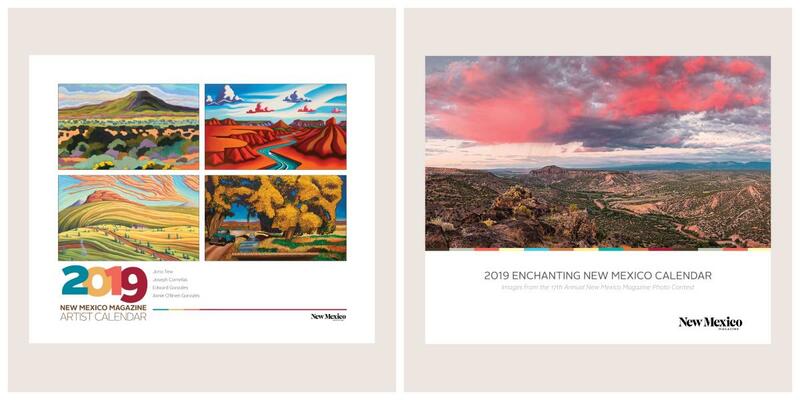 If you would like to order either of our 2019 calendars, we have two available for sale through UNM Press, the 2019 Enchanting New Mexico Photography Calendar and the 2019 New Mexico Artist Calendar. Just $14.95 each! You can also call in your order at UNM Press&apos; Customer Service number: 1-800-848-6224. Back Issues can be purchased directly through our distributor, Palm Coast Data, at their Customer Service number: 1-800-898-6639. If you have recently placed an order we are personally working on fulfilling them and you should receiving your order shortly. If you would like information on your order&apos;s status, please contact our Store Manager at store@nmmagazine.com, with any questions.